You are here: Home / Toddler Fun Friday link up / Toddler Fun Friday – Share your toddler ideas! 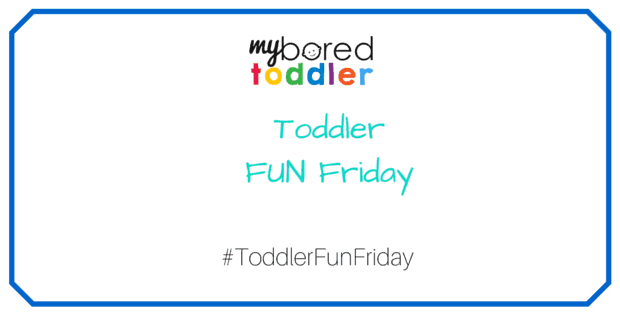 Toddler Fun Friday – Share your toddler ideas! Welcome to the first Toddler Fun Friday! A place to share all of your great toddler ideas. If you have any great toddler activities, crafts or recipes we would love to see them. Before joining in, please read over the rules of the Toddler Fun Friday link up here. It would be appreciated if you could display our badge on your post and follow us on Facebook, Twitter or Pinterest. Join in the link up here! Thank you so much for being a part of the very first Toddler Fun Friday! 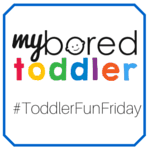 I don’t want to miss the next Toddler Fun Friday – please remind me! Fantastic idea for a link-up. Always looking for ideas on how to entertain the little lovelies. I’ve got a few recipes I think would be fit the link-up. Do you want people to post just 1 per week or can we do a couple? Thanks so much for hosting this. Thanks for linking up. Feel free to post 2 or 3 each week. What a fun link-up. We’ll have to go through our old posts to see if we have anything for toddlers – we started blogging when our human pal, Neighbor Girl, was out of the toddler stage. We’ll share you linkup on Twitter! Thanks for connecting on our blog!